Take the short boat journey from Triabunna and spend a day or longer exploring Maria Island. This is a place for wandering through historic ruins, taking coastal walks, ascending mountains, exploring from the saddle of a bike, encountering incredible wildlife or simply relaxing on a perfectly beautiful beach. During your visit, take time to explore Darlington Probation Station—part of the 11 Australian Convict Sites World Heritage Property—and other historic buildings and ruins, including the elegant Coffee Palace, old cement works and enigmatic remains of farm buildings. 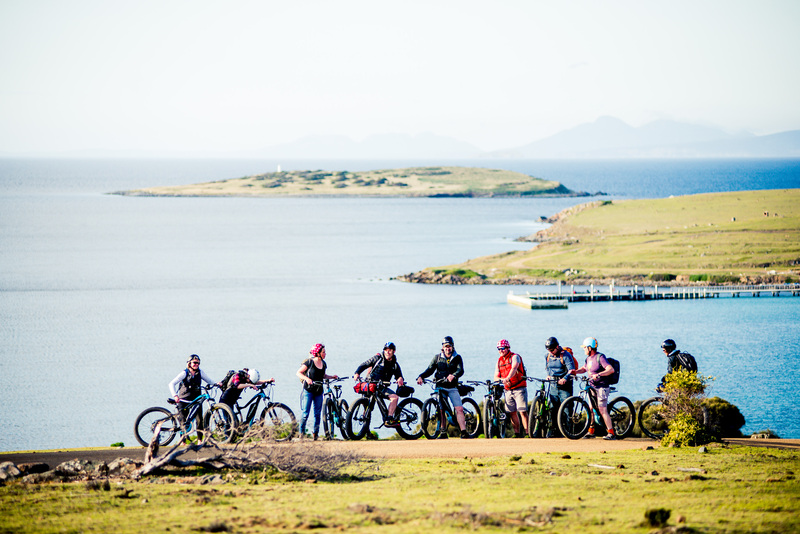 You can bring your bike (or hire one) to tour the island on two wheels, or choose from a range of walks to see the convict reservoir, hop kilns, French’s farm, the Fossil Cliffs and the stunning Painted Cliffs. If you have time and feel like more of a challenge, take the walk to the summit of Bishop and Clerk or Mt Maria. For water-lovers, take a swim at one of Maria’s beautiful beaches, go snorkelling in the marine reserve or, for experienced scuba divers, go a little deeper to explore the wreck of the Troy D. You’ll also encounter diverse wildlife here including Cape Barren Geese, Forester kangaroos and possibly even a member of the resident insurance population of Tasmanian devils. Camping is available on the island and basic accommodation is also available in the Penitentiary. Read this article for everything you need to know about your Maria Island visit. Set sail with us in a small, intimate group and explore Maria Island with experienced locals. Our cruise boat SPIRIT OF MARIA is the only vessel operating cruises and tours to Maria Island and the Ile Des Phoque’s giant sea caves. Our two signature tours, Ile Des Phoques and Maria Island Circumnavigation, depart from Triabunna marina and feature seven hours of adventure and discovery. 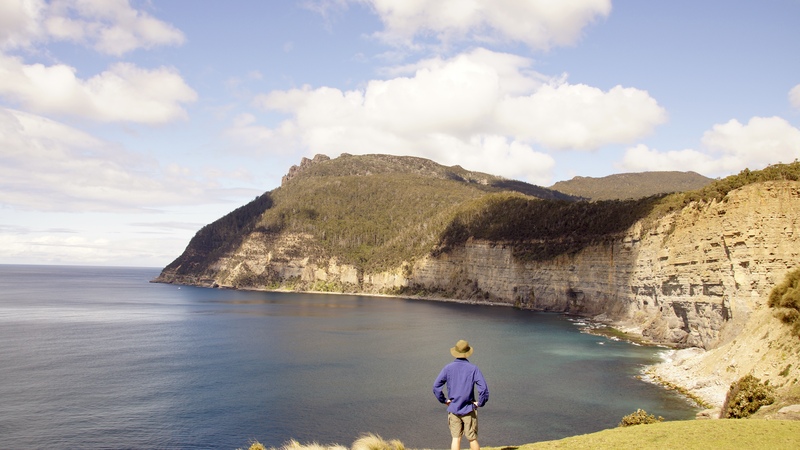 We’ll take you to seal haul-outs, the Painted Cliffs, Fossil Cliffs and secret locales, indulging you with Tasmanian fare and local sparkling. On foot, together we’ll explore Darlington, Maria Island’s World Heritage listed convict settlement. Maria Island Shuttle offers transfers from Hobart to Triabunna marina – connecting you with East Coast Cruises “Maria Island: Cruise + Walk” or the ferry to Maria Island. Encounter Maria Island is the official ferry operator to and from Maria Island. Maria Island is only about 30 minutes from Triabunna, but about as far from ordinary as you can imagine. 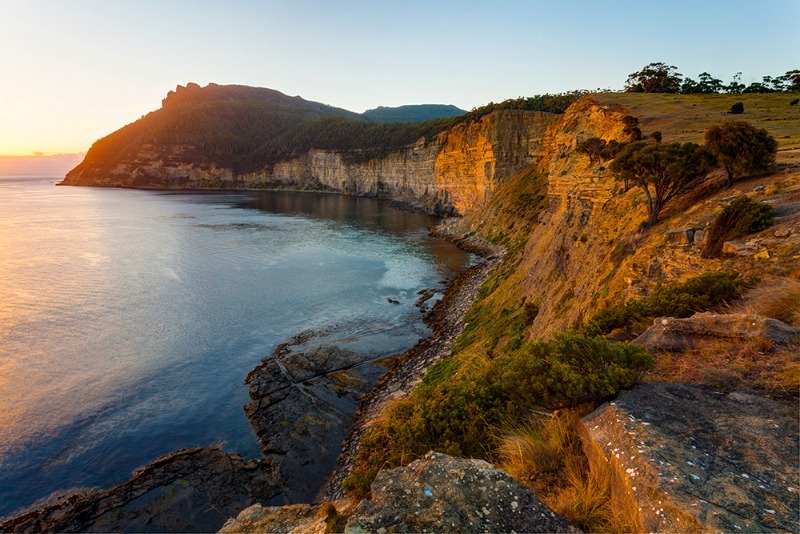 Rich in indigenous and European history, abundant in wildlife, boasting spectacular views and remarkable geological features, the whole of Maria Island is a National Park, managed by the Tasmanian Parks and Wildlife Service. 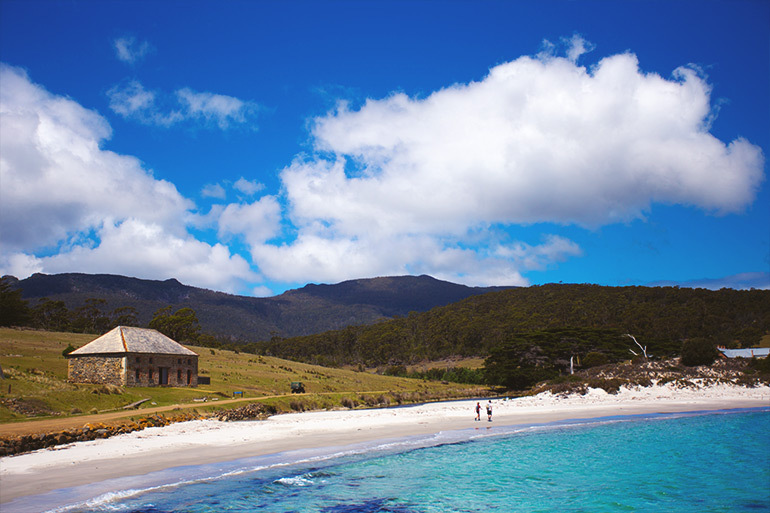 Leave your ordinary world behind and experience something extraordinary – encounter Maria Island. 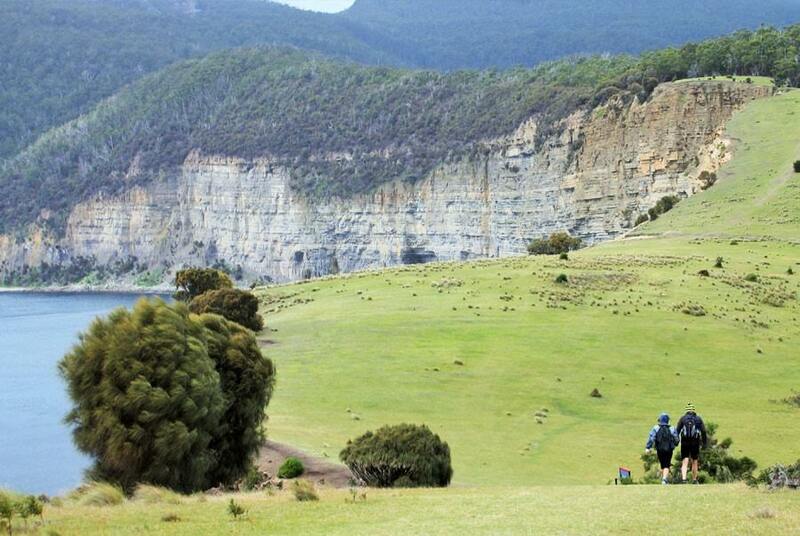 If you are looking for a walking holiday in Tasmania you can’t go past Maria Island on the east coast of Tasmania. Mountainous in the interior and surrounded by stretches of beautiful white sandy beaches, aqua waters and limestone cliffs this island is a hidden gem unknown to many. 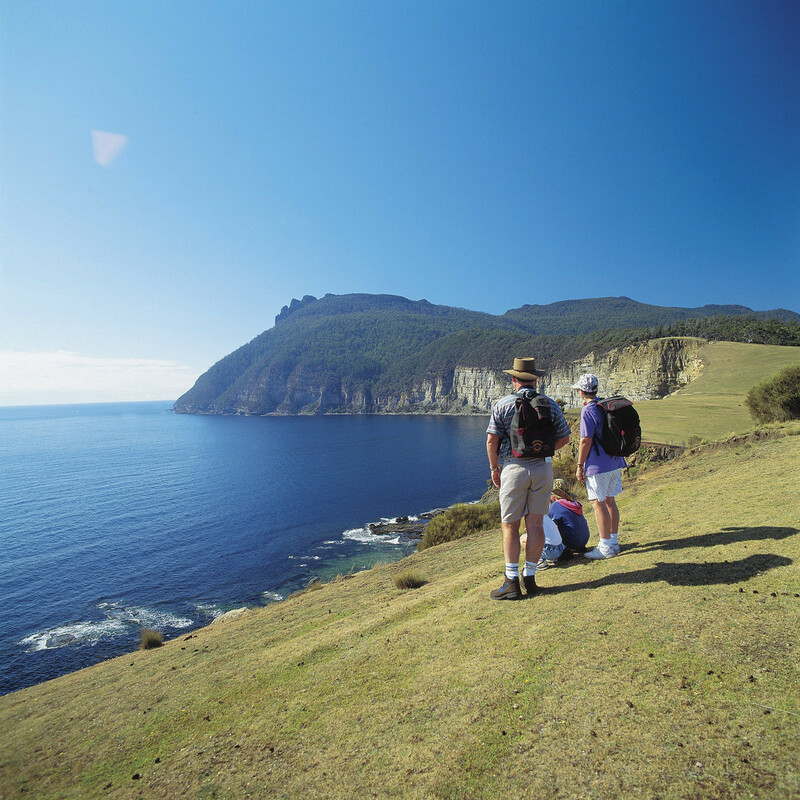 Enjoy the three days Maria Island Walk with your overnight bags carried for the entire journey. The Maria Island Grand Picnic offers a full day to immerse yourself in history and to relax and take in the beautiful surrounds. With a scenic boat trip, two short walks, world heritage convict sites, freshly baked morning tea, gourmet local lunch and afternoon wine and cheese tasting, the day is packed but never rushed. The Maria Island Adventure- unique guided electric mountain bike access to explore the World Heritage listed Maria Island National Park. Regular Saturday tours and customized family or group adventures by appointment allow you to experience in a day the potential of 25 kilometres of stunning coastal trails, taking in the Fossil and Painted cliffs, Darlington precinct and south Maria. Magnificent wildlife, convict ruins, and stunning beaches rimmed by marine park. Small groups of eight guests with two specialist guides to deliver storytelling interpretation and gourmet bicycle picnic and beverage. The Maria Island Adventure departs from Triabunna. Experience the Islands wonderment whilst our Guides pamper you with delicious food and stories explaining the varied history of this unique destination. Surrounded by clear blue waters, white sandy beaches and orange lichen coloured rocks are lofty forests; secret homesteads and soaring peaks. These are the homes of local and endangered species, you may see! Over 4 days, there will be opportunities to ponder, to swim and for the adventurous to climb the spectacular mountains for a different perspective. 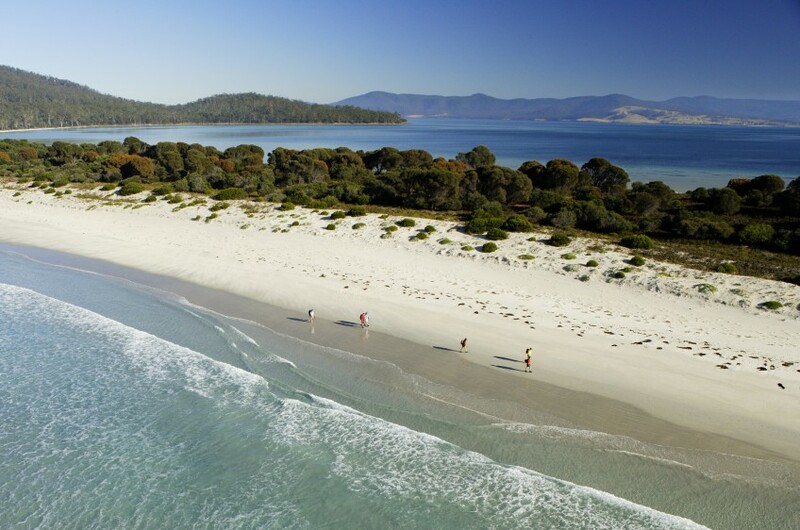 Tasmania’s multi-award winning Maria Island Walk is recognised as one of Australia’s outstanding walking tours. Set in a beautiful island national park, this leisurely four day guided walk is a journey of relaxation and discovery. Experience the fresh air, the crystal clear waters and the breathtaking beauty. Explore pristine beaches and ancient forests. Discover convict history and spectacular wildlife. Enjoy candlelit gourmet meals, fine Tasmanian wine and a comfortable bed. The all-inclusive package, starts and finishes in Hobart with departures from October to April. Winter is a beautiful time to visit Maria Island. 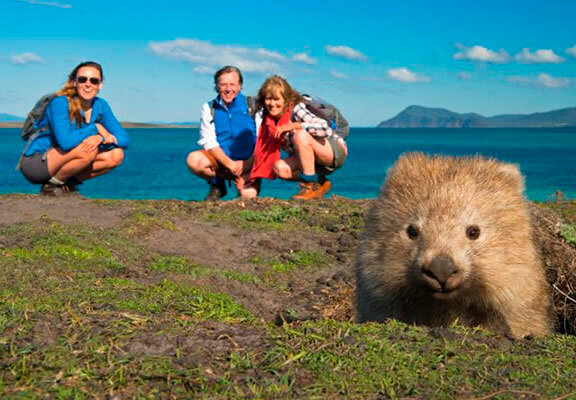 In groups of up to 8 guests our guides will show you the island’s beauty, history and incredible wildlife over 3 days. Each night in the warmth and comfort of Bernacchi House, you will enjoy a delicious candlelit dinner with fine wines while your guides amaze you with their many fascinating stories of Maria Island. This really is an experience not to be missed. The all-inclusive package starts and finishes in Hobart with departures from June to August.